Elmas - Come get your Hot Cross Buns and Whoopie Pies especially for easter . Oberoi Patisserie - Has gone the whole 9 yards this easter. You can get Easter eggs stuffed with soft pillowy marshmallows and candies in a lovely Marzipan egg crate. 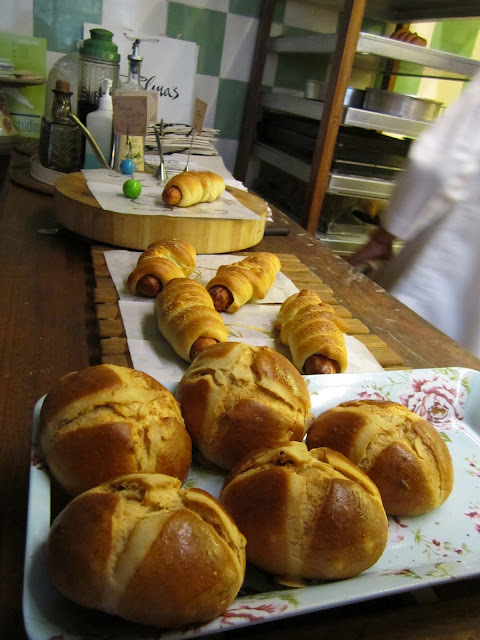 Simnel Cake, Tsoureki Bread and Romias Cookies, Chocolate bunny and hot cross buns! They even Allows you to create your own Easter hamper. Funs began here for sure! 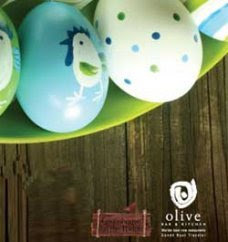 Olive Beach - "It's a gluttonous Easter Brunch at Olive beach". Some of the highlights for this brunch include: Easter Pavlova, Smoked salmon, Balinese suckling pig, Roast lamb with all the trimmings and of course Easter eggs!. The fun doesn't start with some Easter games, and Olive hasn't forgotten that - In good spirit there shall be egg hunting and egg rolling! Imperial Hotel - No fixed brunch but they do at "1911 and San Gimignano lay out exoticInternational Lamb specialties like Slow stewed lamb with saffron, vegetables and potato mash,Slow roasted lamb shoulder with wild mushrooms and risotto and desserts likeMint sorbet with chocolate crisp ice-cream to celebrate Easter week." and a Lavish Easter Spread! "This Sunday, Second Sin has made special arrangements to make your Easter special. Enjoy the traditional Easter roast, Lavish buffet spread with unlimited serving of Sangria, Cocktails, IMFL drinks & non alcoholic coolers. They have also planned fun activities like face paintings, magician, live bands, games and many prizes to be won." Fun kiddie activities like Egg Painting, and Egg Hunting to keep them busy while you kick back to a live band and some Grey Goose cocktails. 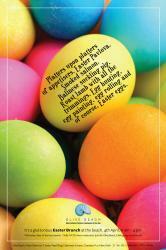 And eggs galore - Eggs Benedict, Marzipan Eggs, Chocolate eggs, Nougat eggs! !